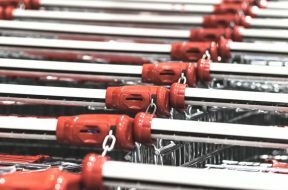 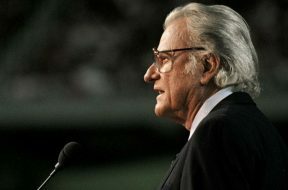 The founder of Coles supermarket chain paid for Billy Graham’s crusade to be publicly broadcast across the nation in the early days of television. 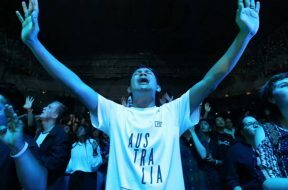 It’s the roar of a packed stadium bursting with joy, as hundreds of people respond to God’s love and make decisions to follow Jesus. 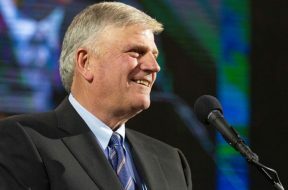 Six decades after the first Billy Graham crusade drew enormous crowds, his son Franklin is coming back to Australia to mark the special anniversary. 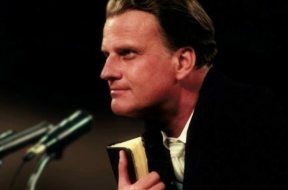 In his 99 years on earth, Billy Graham touched the lives of millions, helped shape evangelical Christian culture, and at the height of his popularity, even lowered crime rates in cities including Sydney and Melbourne.